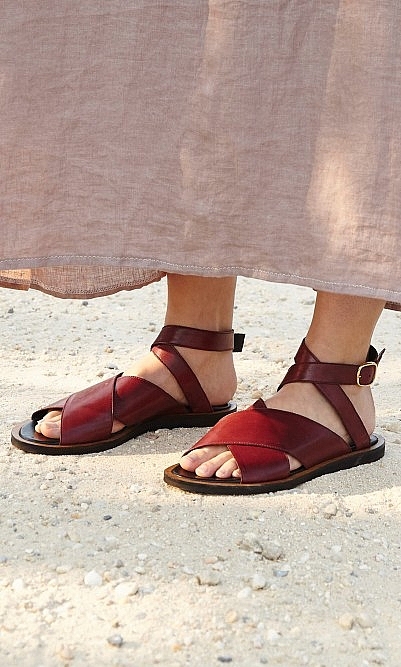 Burgundy leather sandals with wide cross-over front straps and polished brass buckle ankle-fastening. With padded leather insoles and rubber wedge heels. I loved these sandals. Unfortunately they were too big. I’m usually a 3 or 4, but the 4 was quite big. Sadly I had to return them as there wasn’t a 3 available.